Lady Bunny Blog: TOTALLY AGREED! Anyone who lied about Iraq or is responsible for us attacking them--including Hillary Clinton--should be punished. 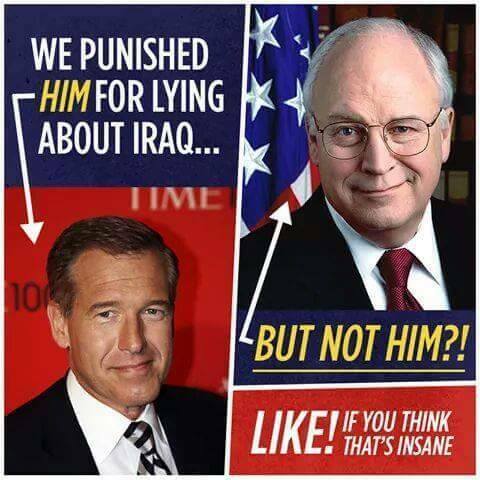 But who was in charge of punishing Cheney? Obama and Attoney General Eric Holder, who immediately claimed as soon as Obama was elected that Bush and Cheney's impeachment was "off the table" so that Obama could go on to commit his own war crimes.